Through their innovative approaches, British artists Anna Dumitriu and Alex May have established themselves at the forefront of the art-science practice, gaining international critical acclaim for their works which explore cutting-edge bioscience and technology. 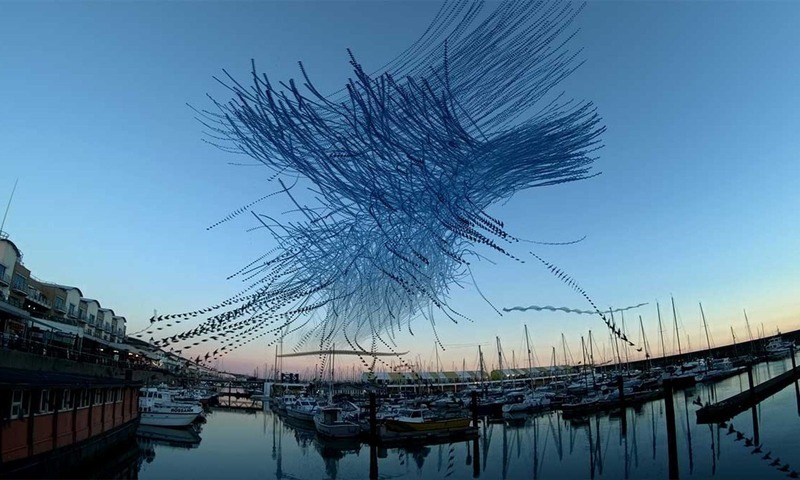 In conjunction with the exhibition of their stunning artworks, the artists will host three captivating, interactive workshops, bringing an even closer look at their pioneering pieces and processes. 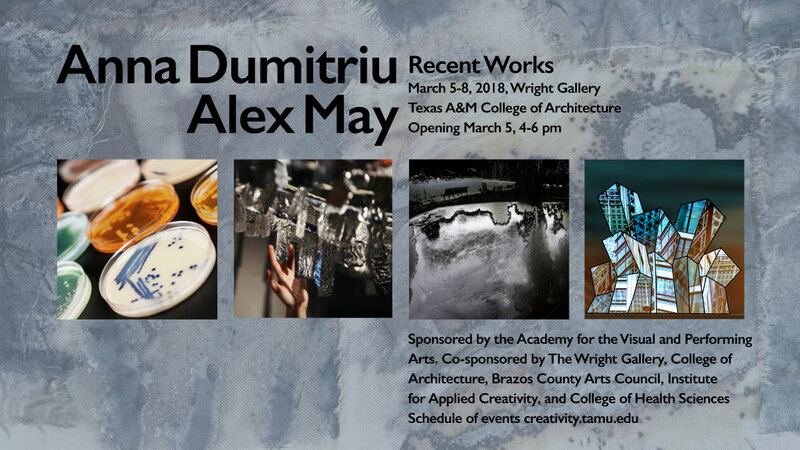 An opening reception will be held at the Wright Gallery on Monday, March 5, 2018 from 4-6pm. “Anna Dumitiru and Alex May: Recent Works” is sponsored by the Academy for the Visual and Performing Arts (AVPA) and co-sponsored by The Wright Gallery, The College of Architecture, The Institute for Applied Creativity, The Arts Council of Brazos Valley, and the College of Health Sciences at Texas A&M University. Dumitriu and May’s residencies are a part of the AVPA 2017-18 Season.